This week I am participating in a back to school blog hop with other members of the Homeschool Review Crew. Today our topic is Curriculum, however I've already written in detail about Amber's curriculum for our new school year that started earlier this month. 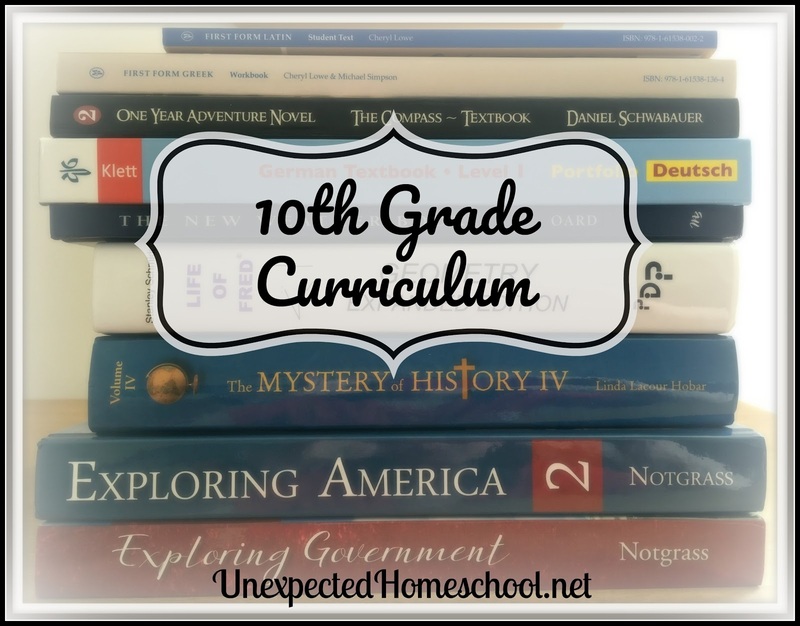 If you're interested in all of the details of the why and how we are making everything work, check out Amber's 10th Grade Curriculum post. High school can be an amazing time that allows our students to use what they have learned in the past and pursue their strengths and interests for the future. We are excited for Amber to finally be able to work on subjects that intrigue her and feel like the path she wants to take in college. You can probably tell Amber is interested in languages and writing, given the emphasis we have put on those subjects. You also might have noticed a few missing subjects; those are being taken at our homeschool co-op, although I am teaching her science class and selecting the curriculum. The details of the co-op classes are also listed in our expanded 10th grade curriculum post.